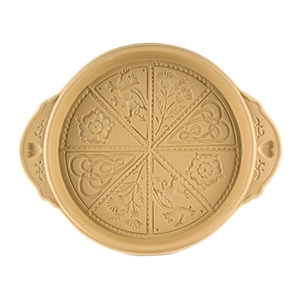 Great round ceramic shortbread mold - complete with recipes. Celtic Knot, Thistle, Welsh Dragon and Tudor Rose designs. 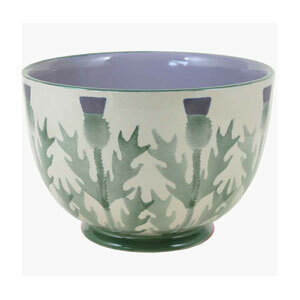 Make beautiful shortbread in this round unglazed ceramic dish with images of the British Isles including an English Tudor Rose, Scottish Thistle, Irish Celtic Knot and Welsh Dragon designs. Gift boxed with a small cookbook included and made in the USA. 9" round and 3/4 inch deep. 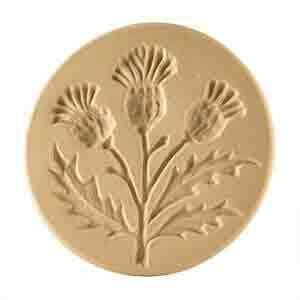 Add this new design to your collection of shortbread molds! Lucy Ross Natkiel tells her story this way "It all started one day in 1982 during the Chinese New Year. As I walked down one of the little side streets in Boston's Chinatown, I noticed some remarkable cookies in one of the shop windows molded in the shape of Carp, Buddhas and lions that looked like Pekinese dogs. They were amazing. I had never seen anything like them, though I had been happily making and eating cookies ever since I could remember. What seemed new to me was, I learned, a very old art. The Chinese had been using carved wooden molds for centuries to form cookies for special occasions. Later, I discovered that molded cookies have long been a part of European cookie baking tradition, too. Carved wooden molds have been used for hundreds of years in Austria, Germany and the Scandinavian countries to produce wonderful, intricate cookies. German Springerle with their delicate anise flavor are perhaps the most familiar to us. That day started me on an adventure that still surprises me with ever expanding possibilities, even after 20 years. I suppose I really shouldn't be surprised, though, since one thing always does lead to another. And after all, cookies should look as good as they taste." 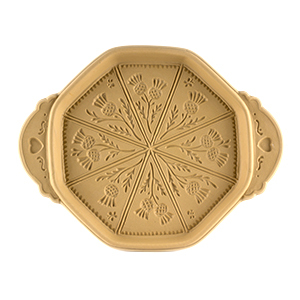 Of course, shortbread is one fabulous cookie and the same tradition of using wooden molds to add a thistle design goes back centuries. So after making cookie molds, Lucy designed shortbread pans. Made in a pottery in rural Virginia, all Brown Bag shortbread pans build on her inspiration that day in Chinatown. 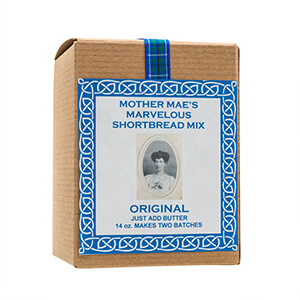 Make beautiful shortbread with Brown Bag Designs! This is a non-food item. If you are ordering non-perishable food products and non-food products to ship to the 48 continental United States, you pay a flat rate of $15 for ground shipping. Delivery will be from 5 to 10 days from the time you place your order. Delivery will be by UPS Ground Home Delivery or Priority Mail depending on the weight and ship to location. All orders are shipped from our North Carolina warehouse. TImely shipping and packaged very well. I already baked shortbread with this mold and used the recipe that was included. It turned out lovely. Thank you so much!